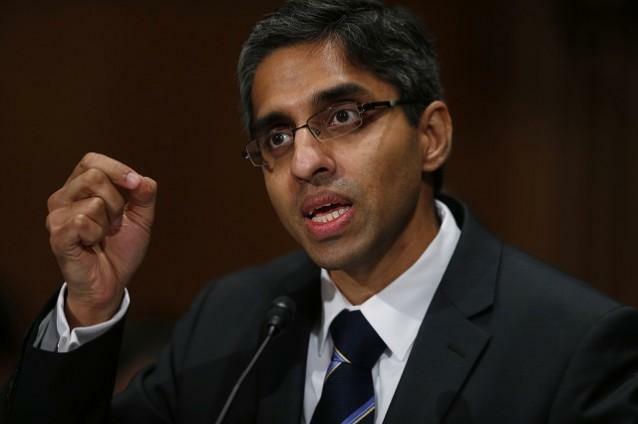 The Senate began the week by confirming President Obama's nominee for surgeon general, Dr. Vivek Murthy. Murthy's confirmation comes 17 months after his nomination by Obama. The process was derailed in the lead up to the midterm elections as Senate Democrats scurried into the safety net of non-committance. Murthy, the nation's youngest Surgeon General at age 37, has been openly critical of the National Rifle Association and its insistence on firearm deregulation. The NRA threatened members of the Senate with low "grades," the organizations political ratings system based on how politicians vote on gun related legislation. Now that the midterm election is behind us and the Senate is at the tail end of its lame duck session, Democratic leadership finally found the chutzpah to bring Murthy up for a more than deserving vote. As ABC News noted, Murthy is "wicked smart." At age 37, his credits exceed those of most of his aged predecessors. He's a graduate of Harvard College, Yale School of Medicine, and Yale School of Management. He's an MD and an MBA who founded Doctors for America, an HIV education organization, and a company that oversees clinical medical trials. He also practiced medicine at Bringham and Women's Hospital, where he also taught when he wasn't lecturing at Harvard Medical School. The fact that Murthy's nomination sat for 17 months because he believes that the NRA has too much power over Congress punctuates that very point. It also explains why Senate Democrats in 2013 changed the procedural rules to allow judicial nominations to pass with a simple majority without allowing opportunity for opponents to filibuster the vote. With the Senate preparing to shift from Democratic to Republican control when Congress returns on January 6, Democratic leadership brought to the floor Tuesday night the final twelve judicial nominations, bringing the total number of judicial appointments on the year to 89. The judicial nominations appear to be part of the quid pro quo between Democrats and Republicans that marks the final days of the 113th Congress. Congress has passed a funding bill, extended tax cuts, and now its dealt with the confirmations and appointments that have been shelved since late 2013. The question now is whether this spate of action from an otherwise abysmal Congress is just because they're feeling the holiday spirit and want to part ways on a cheerful yuletide note or whether this is the calm before the storm as Republicans prepare to return in January with majorities in both houses of Congress? Let's hope it doesn't take the ghost of Christmas past to make this look like a season worth celebrating.